It's Here! Discover the Luxury of Beautiful & Healthy Hair! 20% Off! Check out our NEW line! It's HERE! 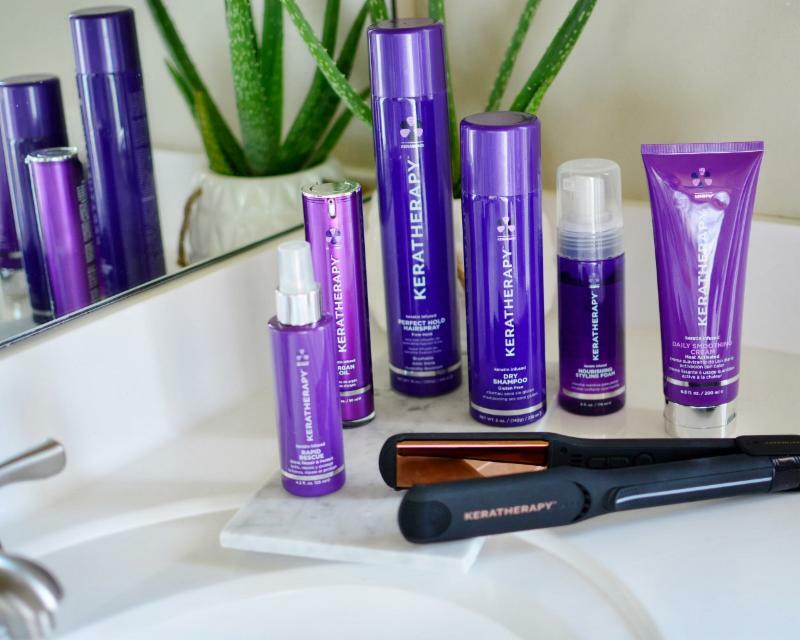 Experience the luxury of beautiful and healthy hair with KERATHERAPY Keratin Treatments and Keratin-Infused Home Care Hair Products. Your hair will truly be transformed! ALL HAIR PRODUCTS ARE ON SALE! Just be in the chair or prepay by April 15, 2019. 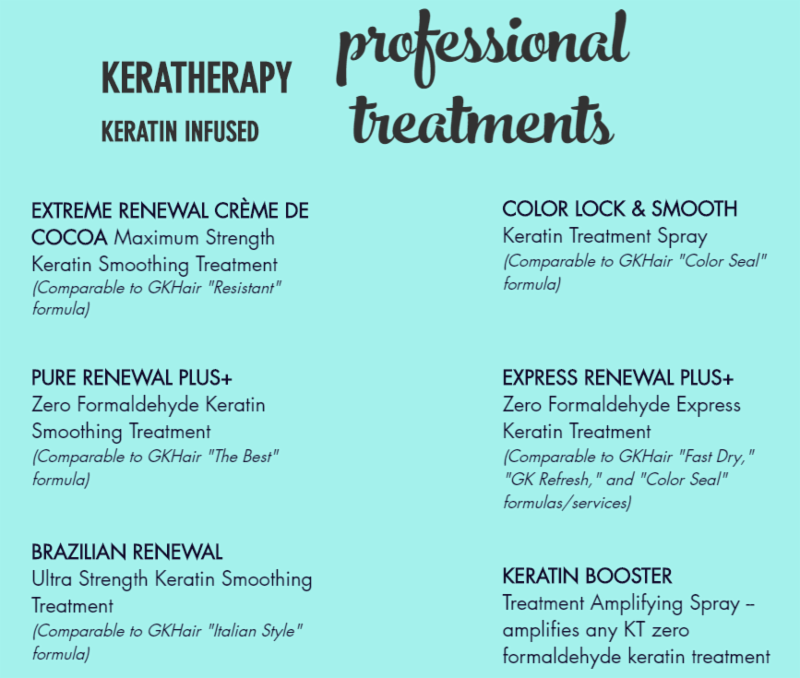 *Does not include Keratin Refresh or Express Services (see below for list). CLICK HERE for pricing for all regularly priced services and take 20% off the price shown. Click HERE to visit our Keratherapy website for information, descriptions of treatments and product collections, and a link to pricing. 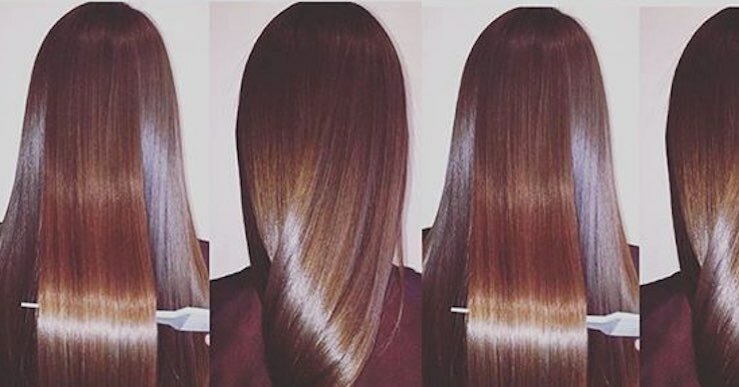 READ MORE HERE about these professional keratin treatment services, where you will find links to full information and after-care instructions for each product. You will note, above, that under each Keratherapy keratin treatment option, we include the GKhair comparable formula treatment. Both Keratherapy and GKhair full-service keratin treatments are on sale now, for a limited time; CLICK HERE for pricing of all regularly priced services and take 20% off the price shown. Just be in the chair or prepay for future services (to be used within six months) by April 15, 2019. NOTE: Extra charge for hair below the shoulders, above-average thickness, and/or dry, damaged hair, as it absorbs more product and requires additional service time from your stylist. CLICK HERE for pricing of all regularly priced services and take 20% off the price shown. 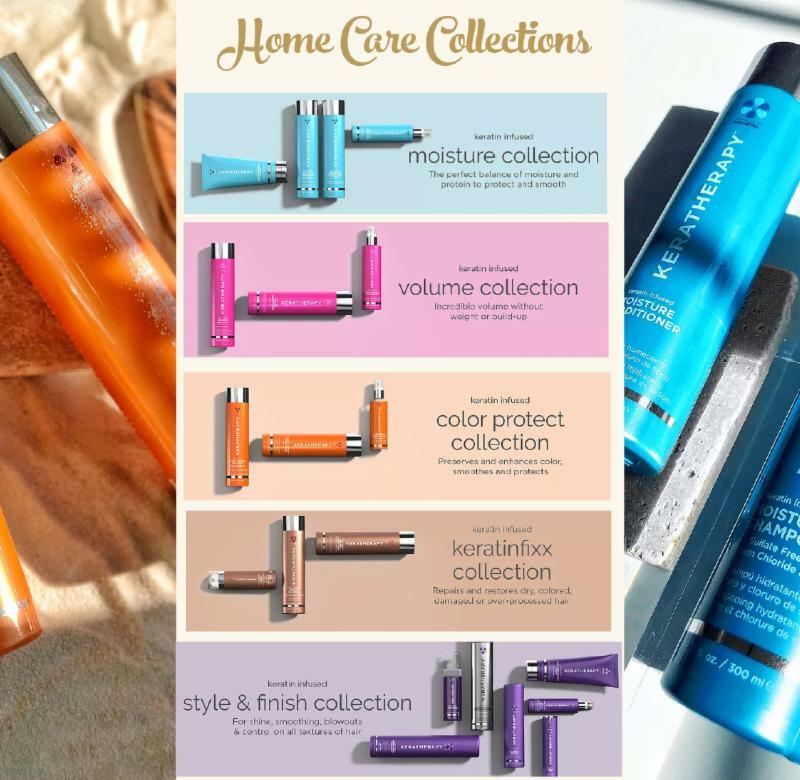 READ MORE HERE about these product collections, where you can click on collection images to learn about each product. HAIR CARE PRODUCTS ON SALE! Special Good through April 15. Mediceuticals SCALPRO Hairbrushes ON SALE! Beautiful hair begins with a healthy scalp. This brush exfoliates the scalp, stimulating blood supply to the hair follicle. Designed with small silicone pins, it quickly and gently detangles and smooths the hair and hair cuticles. On sale through April 15 for only $18! 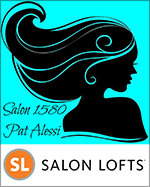 © 2019 by Pat Alessi - Salon 1580. The content here may not be used, duplicated, or downloaded without permission. 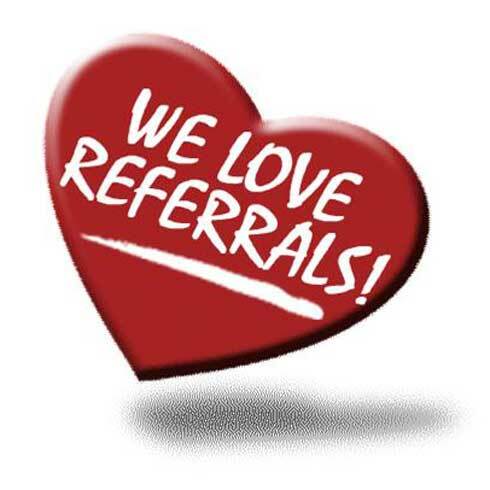 Created by ~ Susan Leonard Marketing Solutions ~ Strategic Marketing Communications Specialist, Graphic Designer, and Certified Constant Contact Solutions Provider .